Landrum bed and breakfast travel guide for romantic, historic and adventure b&b's. 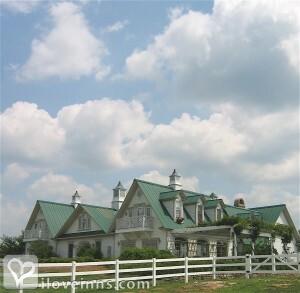 Browse through the iLoveInns.com database of Landrum, South Carolina bed and breakfasts and country inns to find detailed listings that include room rates, special deals and area activities. You can click on the 'check rates and availability' button to contact the innkeeper. If you are planning the perfect, Landrum, South Carolina is the place to be. Famous for its many antiques, Landrum is a haven for history buffs and collectors. Nestled against the majestic Blue Ridge Mountains, Landrum boasts of scenic hiking paths, the best-tasting dinners this side of the state, and one of the quaintest shopping districts in the land. Landrum's mild climate makes it a favorite destinations. There are golf courses and lakes for unlimited recreation opportunities for every one. Don't forget to stay at a Landrum bed and breakfast inn. By The Red Horse Inn.